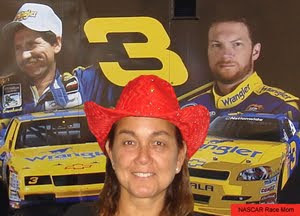 Please help me get into the NASCAR Hall of Fame! as M&M’S® MOST COLORFUL FANS™ OF NASCAR. This one means the world to me! Would you share with your Facebook and Twitter buddies please? Many Thanks! While you are there, please vote for week 8 & 10 also – they are great guys and my M&M’S® MOST COLORFUL FANS™ OF NASCAR teammates! 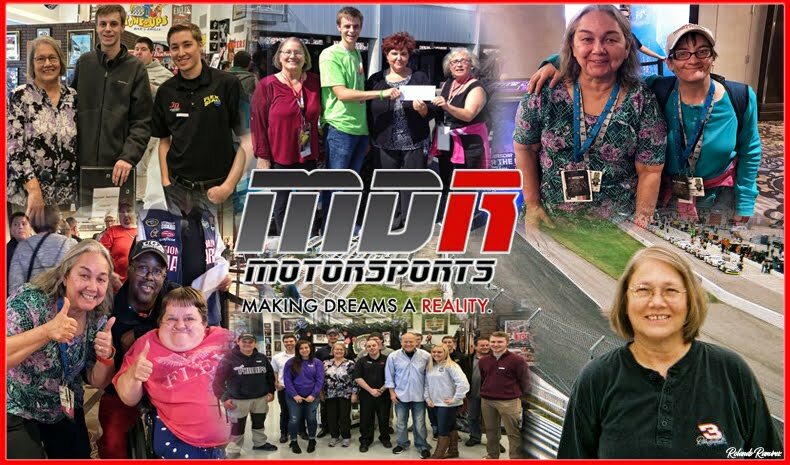 Thanks to your wonderful efforts, NASCAR Race Mom is one of fourteen finalists in the semi-final round of the M&M Most Colorful Fan of NASCAR Contest. NRM was selected as the winner of Week Five (5) in the M&M’s Most Colorful Fan competition. It would not have happened without my awesome networking buddies! Winning the week is just the first part of this NASCAR Dream. The win qualifies me for the final round. The Grand Prize Winner of that round will receive $10,000.00; a three (3) day/two (2) night trip to the NASCAR Hall of Fame Museum in Charlotte, North Carolina. The trip includes the following: round-trip coach-class airline tickets from the major U.S. gateway airport nearest the Grand Prize Winner’s residence to a Charlotte, North Carolina-area airport for Grand Prize Winner and one guest. During that trip; the grand prize winner’s entry will be featured in the NASCAR Hall Of Fame! Now that would be my NASCAR Dream come true. I would love to be able to infect the NASCAR Hall Of Fame with my philosophy of the Greatness of NASCAR blended with the Strength of the Racing Family! That was the theme of my Dale Sr. / Dale Jr. entry. 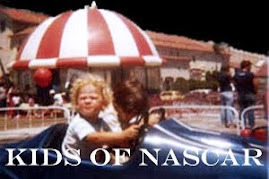 This family’s heart and sacrifice amplifies the integrity of NASCAR. On September 27, 2010, you will have the opportunity to vote and help determine the three winners who will move on to the finals! You can vote once a day, every day until October 3, 2010. This means that NASCAR Race Mom will have a three in fourteen chance of winning either the grand prize ($10,000 and a trip for two to the NASCAR Hall of Fame where the winning photo will be featured on display); or First Runner Up (a $2,000 Gift Card); or Second Runner Up (a $1,000 Gift Card). I know that all votes are important. However, winning this one would mean so much to me. Just the thought of getting into the NASCAR Hall of Fame for a year makes me dizzy! Needless to say, I will need your vote once a day for seven days. More importantly, I really need you to recruit your friends and family to vote for me once a day for seven days. Seven simple clicks will make the NASCAR Fantasy come true. When we get the link; please share on your Facebook wall and with your twitter buddies. Also send this request to all your email contacts! Contact me if you have a blog; so that we can arraign an interview for your blog! Many Thanks All. The "Beads of Courage" is an outreach program for children with cancer. Beads of Courage helps children RECORD, TELL and OWN their stories of courage during treatment for cancer and other serious illness. Through the Program, children receive different colored beads each of which symbolizes their unique and challenging treatment journey. Their Beads of Courage collection serves as a tangible, visible symbol of their accomplishments during a challenging treatment journey. This worthy cause is requesting your help. Your vote could be worth $20,000! Four time NASCAR Sprint Cup Champion, Jimmie Johnson’s Foundation is offering the “Samsung Helmet of Hope." The winning charity will win $20,000. Through the Beads of Courage Program, children coping with life threatening conditions received colorful beads each of which symbolizes the many treatments and procedures they overcome. Your vote can help provide the necessary funding to continue this noble work. Vote Now and every day during the month of September. It is a very quick and easy vote. 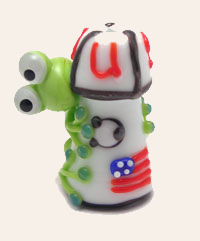 Not only will your vote help the Beads of Courage, when you post that you have voted in the comment section below, you will be entered to win a valuable, limited-edition, artist-created bead that is a replica of a bead that flew on the Space Shuttle! Voting begins on Wednesday, September 8, 2010 at 3pm EDT and ends on Wednesday, September 29, 2010 at 5pm EDT. You can vote once per day. The winner will be announced on Friday, October 1, 2010 at Kansas Speedway. Have some fun with this competition/contest and feel good about yourself helping support a worthy cause! There are many easy ways to win. However, be sure you read all the rules so that your entry will be accepted. Giveaway ends Wednesday, September 29, 2010 at 5pm EDT. There will be one grand prize winner. 1 - Main Entry – You must complete this entry in order for the extra entries to count. You can vote once per day. 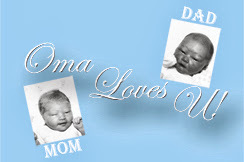 Blog about this contest on your own blog with a link back to link to this contest. Please leave a link to your blog post in a comment. Post about this contest on your Facebook Wall. The post must include a link back to this page. Copy your Facebook post into a comment below. Recruit your friends to vote for The Beads of Courage also and have them leave a comment. After they do, you can leave a comment that you recruited them. 1. Make sure there is a way for NRM to contact you - if your email address is not on your profile or you are not a blogger, you may leave it in your comment. NRM hates to have to disqualify a potential winner because there is not a way to contact that winner – I will need your email address to contact you, should you be the winner. 2. The winner will be chosen by Random.org. 3. The winner will be announced on this post and be notified by email; if the winner does not respond WITHIN 7 DAYS, another winner will be chosen. 4. NASCAR Race Mom not responsible for missing or incorrect contact information. For the fourth time, the Miller Motorsports Park (MMP) hosted a NASCAR K&N Pro West Series event. On Saturday, several drivers participated in a “Drivers Meet and Greet” in the facility’s Club House. The Club House is situated on the highest point of Miller Motorsports Park, overlooking the track’s final sequence of turns before the straightaway. Sunday brought the tenth round of the season and the third road course for the series where the drivers are more accustomed to short-track ovals. However, one could not tell from the on-track action during the thirty-six (36) laps of hard fought battles on the outer course, covering 3.05 miles of straights, right and left corners, and one that allows a lot of speed, along with curbs to hit with one wheel or more up in the air. MMP is a magnificent desert track in Tooele, Utah surrounded by stunning mountain ranges. However if a competitor drives off track, the sand and gravel spewed on the racing surface become treacherous to tire wear. Moses Smith spent most of the allotted hour and a half practice time in the garage and was only able to record six practice laps. Therefore, his twelfth place starting spot was acceptable. Before the first lap was completed, the #16 Hasa Pool Products Toyota was in the top ten. Following a different pit strategy then the leaders, Moses lead the race on lap 15. The expert team work of the Hasa crew sent the #16 back out on the track after his only pit stop in fourth place. Moses worked his way into a comfortable third position and stayed there for the majority of the race. The restart on lap twenty-seven (27) trundled Moses back to sixth place. Then the #16 Hasa Pool Product Toyota suffered from alternator issues and also developed a slow leak in the left front tire. With the loss of power and difficulty in handling, Moses depended on his skill and experience to survive the final nine laps. Moses managed to advance a couple of positions and placed fourth, just missing the race podium. Nonetheless, the driver of the HASA Pool Products/White Flyer Toyota scored 5 bonus points after holding the lead on lap 15. He also ended his race with the Featherlite Most Improved Driver Award. Further, Moses bettered his championship point standings by two and solidly captured fourth place. Race Statistics: Time of Race: 1 hour 24 minutes 26 seconds; Margin of Victory: .650 seconds; Fastest Qualifier: P.Long (94.574 mph, 116.023 seconds); Caution Flags: 2 for 6 laps; Lead Changes: 11 among 5 drivers. There are two races remaining in the 2010 season - October 16 at Roseville, California and November 13 in Phoenix, Arizona. The Toyota/NAPA Auto Parts Bonus Challenge from Miller Motorsports Park will air on SPEED on Thursday, September 16 at 6 p.m. ET. There are thirty-four hopefuls gearing up for their attempt at race ten of the twelve-race, K&N Pro Series West championship this weekend in Utah. This post will concentrate more on the unknown drivers who will compete this weekend. Eric Holmes; David Mayhew; Paulie Harraka; Luis Martinez, Jr.; Jonathon Gomez; Moses Smith; Michael Self; Greg Pursley; Todd Souza; Travis Milburn; Greg Rayl; Jack Sellers; and Troy Ermish are 2010 series points’ combatants. Since they are in a hot point’s race, their race strategy could prove a bit more conservative. A mere fifty-two (52) points separate sixth place, Moses Smith from BMR teammate Paulie Harraka who is seated in third. Absent from the list of K&N Pro Series West regulars is the black #21 of Blake Koch. According to Mr. Koch’s Facebook page, he will be racing a late model at Punta Gorda Speedway this weekend. He will be piloting the #2 “I am second.com” car. Road Course specialist Patrick Long has an impressive K&N Pro Series West resume. Within a mere five races, Long has two wins, and three top-five finishes. Patrick Long is a factory driver for Porsche. Brandon Davis is also known for his road course experience. As part of the Bill McAnally stable, Brandon has four starts in the series and recorded a podium finish at Infineon this year. This will be the first time Davis attempts to traverse the 3.048 mile outer course of Miller Motorsports Park. Scott Ivie Racing, Inc. is a professional race team based in San Ramon, California that competes in NASCAR’s K&N Pro Series road course events at Infineon, Portland and Miller Motorsport Park. Scott has six starts and finished twelfth at Infineon this year. Gary Lewis has earned a fan following with his K&N Pro Series West statistics. He finished third at All America Speedway and fifth at Montana Raceway Park this year in his only two K&N Pro Series West starts. It will be very interesting to see if Mr. Lewis can keep his streak going on this road course. Thomas Martin and Kyle Kelley will be making their tenth K&N Pro Series West appearance tomorrow. Martin is still looking to record his first top-ten finish. Kelley has three top-ten finishes in the series. He has also competed in three Nationwide races in 2010 with a best finish of 20th at the Zippo 200 at The Glen. Justin Funkhouser has five starts, all in 2010. He has one top-ten finish at Douglas County Speedway. Brian Jackson also has five K&N Pro Series West starts with a best finish of 21st at Miller in both 2008 and 2009. 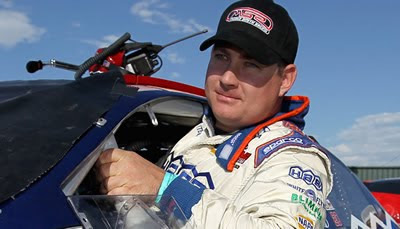 Brad Lloyd received his NASCAR license in 2009 and competed in his first NASCAR K&N Pro Series West race on his home track at Infineon Raceway in Sonoma, California. He has two series starts. Eric Curran, from Springfield, Massachusetts started eighteenth and finished twenty-fourth at Infineon Raceway in 2009. He was the fast qualifier among the GT entries this weekend at Miller, with a lap at 1:51.659/98.271. He will start 14th overall in the No. 31 Whelen Engineering Chevrolet Corvette that he will share with NASCAR star Boris Said. Brady Flaherty attempted to qualify for the Infineon race in June of 2009. He was one of the four who failed to qualify. With thirty-four drivers competing for twenty-eight starting spots, Flaherty will have to worry about history repeating itself. Flaherty was rookie of the year for CMC in 2005, won the West CMC Championship in 2006, Top 5 at Nationals both years. He also competed in a show called “Setup” where Pontiac was looking for their next driver. He came in 3rd of the sixty drivers who competed nationwide. Joao Barbosa is entered in a Mark Martin owned car. He is tied for twentieth in the 2010 Grand-Am Rolex Series standings. Joao Barbosa, along with co-drivers Terry Borcheller, Ryan Dalziel, and Mike Rockenfeller, brought the Action Express Racing Porsche-Riley across the finish line 52 seconds ahead of its nearest competitor, winning the 48th running of the Grand Am Rolex 24 at Daytona International Speedway. Carl Harr is Daryl Harr’s father. The team won the 2001 and 2002 CASCAR West Championship with Carl Harr and Daryl Harr respectively. Born 12/14/1927, the legendary Hershel McGriff (82 Years Old) is the oldest driver in this road race. Hershel McGriff won a race in the initial year of the series with NASCAR, when it was known as the Pacific Coast Late Model series in 1954. He tops the list of pole awards in Winston West Series poles (35). Joao Barbosa plays online at Full Tilt Poker. He experienced his first successes playing low-stakes Limit Hold ‘em and small buy-in tournaments. As his bankroll increased, he switched to No-Limit Hold ‘em. After earning a degree in computer engineering, Joao decided to play poker full time. Moses Smith has had an extremely busy summer. His company, Moses Smith Racing, LLC. (MSR), headquartered in Tempe, Arizona, took over all support for the approximately 300 Standard FM rotary-powered race cars currently in use across North America, as well as the MSR sports racer, a full-bodied version of the Standard FM. This August, the Formula Car Challenge Series was paired with the IZOD IndyCar Series in the Sonoma Valley for the first time. The Formula Mazda class ran on both Saturday and Sunday. Alan McCallum, who races for Moses, started from pole and won both contests. “What a great day. I had to leave the track to attend a ‘Support the Troops Benefit’ at a shooting range. . . . got to shoot a bunch of cool stuff. Meanwhile, the MSR team was at Infineon racing...and subsequently winning the support race for Indy car! Life is good in the MSR camp!” Smith recounted. Moses was able to fly back just in time to enjoy McCallum’s win on Sunday. Smith will stay at Miller after competing in the NASCAR race because the Formula Mazda cars will be competing there. 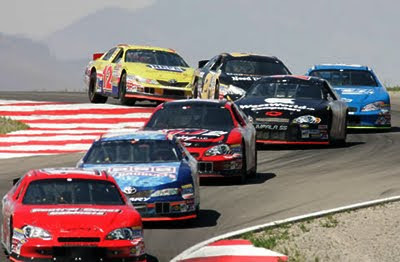 The 2010 NASA Championships will be held at Miller Motorsports Park on September 16 through the on September 18, 2010. Jim Inglebright started his career with nine years of motocross racing. After seven knee operations, he switched to stock cars. 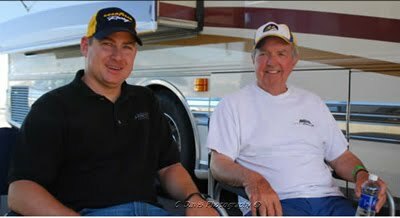 Jim has a 2003 win at LVMS Bullring while racing for Bill McAnally, a 2008 win at the Iowa Speedway and a 2009 win at the Portland International Raceway. Michael Self will look to lean on his Miller Motorsports Park experience for an edge in Sunday’s race. Self won championships in the Rotax karting division and also competed on the road course in the Mustang Challenge, Miller Park Racing Association and Skip Barber races at Miller. Michael Self is second in the 2010 Sunoco Rookie standing, five points behind Luis Martinez Jr. Through the first nine races of the NASCAR K&N Pro Series West season, points leader Eric Holmes has amassed imposing statistics: most money won – $64,285, most laps led – 272, best average finish – 5.6, most victories – 4, tied for most top-five finishes – 7, most top-10 finishes – 8 and is in a three way tie for most races led - 4. Now that you know a bit more about the drivers who will be competing in the NASCAR K&N Pro Series West race – stop by Racing West Fantasy Racing and pick the five drivers you would like to see on your team. 12:00 p.m. Registration opens. Haulers enter. 1:00 p.m. Garage opens. Inspection only. 2:00 p.m. Mandatory Crew Chief Meeting. 7:00 a.m. Registration opens. Move haulers. 9:00 to 10:30 a.m. Practice. 11:00 a.m. Qualifying Tech begins. Groups determined by practice times. starting positions 1st thru 24th.) "Impound"
3:00 p.m. Mandatory Spotter Meeting. NASCAR Road Race style (group) qualifying: Qualifying order will be determined by each car's best overall lap time from the practice session(s). Adjustments or repairs may not be made on the car after the car enters the track to begin the qualifying session. Cars will be impounded after qualifying. Cars must qualify on race set up. Starting Positions 1st thru 24th will be determined from qualifying. Starting positions 25th, 26th, 27th and 28th are provisional. Antelope, CA - Moses Smith, pilot of the No. 16 HASA Pool Products/White Flyer Toyota Camry for Bill McAnally Racing returns to one of his favorite tracks, Miller Motorsports Park. The Toyota/NAPA AUTO Parts Bonus Challenge NASCAR K&N Pro Series West will be on Sunday, September 12th. Miller has been a track where Smith has done well. He charged towards the front under a green-white-checked scenario and finished in fourth in 2008 and return to finish 5th in 2009. "I was excited over my 4th and 5th place finishes," continued Smith. "We had a good strategy for the race, great pit stops, overall just a good time. 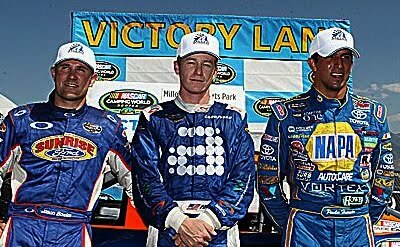 Can't wait to do it again and put the HASA Toyota in Victory Lane. Miller Motorsports Park is an awesome facility, easily becoming one of my favorite tracks to race at." "I will be at Miller two weeks in a row. The following weekend I will be there with the Formula Mazda for the Formula Car Challenge (FCC) National Championships." Smith is sixth in the chase for the NASCAR K&N Pro Series West championship and only 52 points out of the top-three. Smith and the No. 16 Hasa team would like to thank their race partners and their fans for all their support. The Toyota/NAPA Auto Parts Bonus Challenge '150' is on Sunday, September 12th. 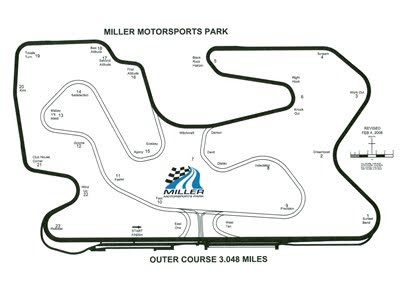 For ticket information please visit the track's website at www.millermotorsportspark.com. The NASCAR K&N Pro Series West race will be televised on SPEED Channel on Thursday, September 16th at 3 pm PST. The track is located just 35 minutes outside Salt Lake City. The green flag for the West race will drop at 3:30 pm with qualifying for the race slated for 12:25 pm. For more information on Bill McAnally Racing and our race partners, please visit our website at www.billmcanallyracing.com. Bill McAnally Racing is now on Facebook. Become a fan and stay up to date with the latest happenings with your favorite BMR race teams. For more information on Moses Smith, please visit www.mosessmith.com. You can visit our sponsors' websites at www.hasapool.com, www.whiteflyer.com, www.blimpie.com and www.tcitransportation.com. Please visit the NASCAR Home Track page to vote for the Most Popular Driver. Smith was the recipient of the 2008 and 2009 MPD Award for the NASCAR K&N Pro Series West. DAYTONA BEACH, Fla. – The NASCAR K&N Pro Series West visits Miller Motorsports Park in Tooele, Utah, on Sunday, Sept. 12. • This race will be the fourth series visit to Miller Motorsports Park. • The three series races at MMP featured three different race winners. • There have also been three different winners of the Coors Light Pole Award. • Three drivers – Jason Bowles, Mike David and Moses Smith – are tied for the most top-five finishes, with two each. • With a top-10 finish in each of three visits, Bowles has the most top-10s. • Patrick Long has led the most laps of competition, running out front for 34 circuits. • Only five drivers – Bowles, Smith, Todd Souza, Daryl Harr and Jim Inglebright – started all three previous series races at MMP. • One of the three series races at MMP was extended for a green-white-checkered finish – 2008. • Only one of the three races was won from the pole – Patrick Long in 2009. 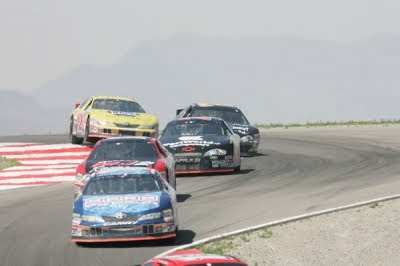 • Forty-nine drivers have raced in series competition at Tooele. With top-five finishes at Miller Motorsports Park in 2008 and 2009, Moses Smith (No. 16 HASA Pool Products/White Flyer Toyota) is looking forward to this year’s return of the NASCAR K&N Pro Series West to the 3.048-mile road course. The series heads back to the Tooele, Utah, track this week for the Toyota/NAPA Auto Parts Bonus Challenge on Sunday, Sept. 12. The West’s oldest stock car racing circuit will be part of a big racing weekend at MMP that includes the Grand-Am Rolex Sports Car Series on Saturday, Sept. 11. Smith is hopeful of building on his success of the last two seasons at the motorsports complex west of Salt Lake City. Smith came to NASCAR with a road racing background, but after three full seasons in the series, he admits that he no longer has as much of a preference for turning left and right. Now, it’s a matter of improving the road racing car, according to Smith. Smith’s overall success this year has landed him in the middle of a very tight points battle. He is sixth in the championship standings, with three top-five and five top-10 finishes in the first nine races. But with just 54 points separating the five drivers in fourth through eighth, a driver can move multiple positions up or down with a good finish or a bad finish. Naturally, Smith has mixed feelings about being in such a tight battle. Smith is optimistic, meanwhile, of being able to close out with strong performances in the three races remaining on the schedule. Smith, who made his 50th series start at Colorado, was asked if a milestone like that is important to him as a driver. “I think it gives us a good point to see how we’ve been progressing,” he said. “I think it’s really important. I think this season, in the last eight to 10 races, we’ve really come along as a team and I’m getting more comfortable in the cars.